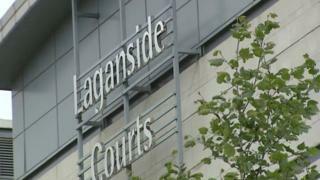 A 21-year-old man has appeared in court accused of committing 22 offences on 26 December in north Belfast. The charges against Lee Whelan of Manor Street, north Belfast, include burglary, dangerous driving and being unfit to drive due to drugs or alcohol. During the short hearing at Belfast Magistrates Court, he spoke only briefly, to confirm he understood the charges against him. Due to the large number of charges, they were not all read out in court. He is accused of damaging four different vehicles in the Crumlin Road area of north Belfast and injuring two people. He was remanded in custody to appear in court again next month.